Get to know the most common investment, stock trading and brokerage fees. Learn where to find them and how to lower costs. As you figure out where and how to invest, it’s easy to overlook one thing: investment and brokerage fees. That’s a problem, because fees can eat into your investment returns. Whether they’re baked into the funds you’ve selected as an expense ratio, charged as a brokerage fee on your investment account, added on as a stock trading commission when you buy or sell, or levied by an advisor who is helping you sort through it all, it’s important that you know what you’re paying. Brokerage fee: A brokerage fee is a fee charged by the broker that holds your investment account. Brokerage fees include annual fees to maintain the brokerage account, subscriptions for premium research or investing data, fees to access trading platforms or even inactivity fees for infrequent trading. You can generally avoid brokerage account fees by choosing the right broker. Trade commission: Also called a stock trading fee, this is a brokerage fee that is charged when you buy or sell stocks. You may also pay commissions or fees for buying and selling other investments, like options or exchange-traded funds. Mutual fund transaction fee: Another brokerage fee, this time charged when you buy and/or sell some mutual funds. Expense ratio: An annual fee charged by mutual funds, index funds and exchange-traded funds, as a percentage of your investment in the fund. Sales load: A sales charge or commission on some mutual funds, paid to the broker or salesperson who sold the fund. Management or advisory fee: Typically a percentage of assets under management, paid by an investor to a financial advisor or robo-advisor. 401(k) fee: An administrative fee to maintain the plan, often passed on to the plan participants by the employer. Even a small brokerage fee will add up over time; a few investment fees together can significantly reduce your portfolio’s return. If your portfolio was up 6% for the year but you paid 1.5% in fees and expenses, your return is actually only 4.5%. Over time, that difference really adds up. Take this example, in which an investor puts $500 a month into a brokerage account each year for 30 years, depositing a total of $180,000 over that time and earning an average annual 7% return. The last column in the chart shows how much would be lost to fees over the course of 30 years. An investor who paid 2% in fees each year would give up more than $178,000 over 30 years, almost as much money as the $180,000 deposited in the account during that time. Annual fees $50 to $75 per year Choose a broker that doesn’t charge annual fees. Note broker fees may vary depending on account type. Inactivity fees May be assessed on a monthly, quarterly or yearly basis, totaling $50 to $200 a year or more Choose a broker that doesn’t charge for inactivity. Research and data subscriptions $1 to $30 per month Subscriptions are optional. Look for a broker that offers premium research and data for free. Fidelity and Merrill Edge both score high on this in NerdWallet’s ratings. Trading platform fees $50 to more than $200 per month There are high-quality platforms available for free, like thinkorswim from TD Ameritrade. Paper statement fees $1 to $2 per statement Opt for emailed statements and notifications. Account closing or transfer fees $50 to $75 Most brokerages charge a fee to transfer or close your account. Some brokerages will offer to reimburse transfer fees incurred by new customers. Where to find details: On the broker’s website. Though it may not be in plain sight, there will be a page detailing each brokerage fee. If you have questions, call customer service and ask before opening an account. Brokers that offer commission-free trading. These are usually bare-bones, like Robinhood. Limited-time promotions. Many brokers offer new customers a limited number of commission-free trades in the first few months after opening an account. This should not be the main reason for choosing a broker, though it could be a tie-breaker. Commission-free ETFs. Many have a list of ETFs that trade with no commission, including E-Trade, which offers more than 100. Otherwise, you’ll typically pay between $5 and $7 as a trading fee, depending on the online broker. Some brokers offer discounts for high-volume traders, such as Ally Invest, which drops its $4.95 by a dollar; others, like Interactive Brokers, offer per-share pricing in addition to — or instead of — per-trade pricing. You should weigh commissions on your preferred investments carefully when selecting a broker. Where to find details: On the broker’s website — often the home page, especially if the commission is competitive. With the exception of ETFs, mutual fund trades aren’t charged brokerage commissions. But they do sometimes carry transaction fees, which are charged by the brokerage when buying or selling the funds. Most brokers charge for both; some charge only to buy. If your portfolio was up 6% for the year but you paid 1.5% in fees and expenses, your return is actually only 4.5%. These fees vary by broker but can range from $10 to as much as $75. (Consult our picks for best mutual fund providers for cost-conscious investors.) Fortunately, transaction fees are easily avoided by selecting a broker that offers a list of no-transaction-fee mutual funds. TD Ameritrade offers more than 4,100 mutual funds without a transaction fee. Many funds on this list will be from the broker itself, but other mutual fund companies often pay brokers to offer their funds to customers without a transaction cost. That cost may or may not be passed on to you, in the form of a higher expense ratio (more on this next). Where to find details: On the broker’s website, typically on the same page where commissions are listed. Expense ratios are charged by mutual funds, index funds and ETFs. They’re shown as a percentage of your investment and charged as an annual fee: A fund that has an expense ratio of 0.10%, for example, means that you pay $1 per year for every $1,000 invested. The expense ratio is designed to cover operating costs, including management and administrative costs. Funds that are actively managed — employing a professional to buy and sell its investments — typically carry higher expenses than index funds and ETFs, which are passively managed and track a stock market index, like the S&P 500. The goal of a manager is to try to beat the market; in reality, they rarely do. The expense ratio on an actively managed mutual fund might be 1% or more; on an index fund, it could be less than 0.25%. That’s a big difference, so you should pay careful attention to expense ratios when selecting your funds, and opt for low-cost index funds and ETFs when available. The expense ratio also includes the 12B-1 fee, an annual marketing and distribution fee, if applicable. Remember the mention above, about how mutual fund companies can pay a broker to offer their funds with no transaction fee? If that cost is passed on to the investor, it will be as part of the 12B-1 fee. 12B-1 fees are part of the total expense ratio, not in addition to it, but it’s still important to know what you’re paying. Unlike expense ratios, mutual fund loads are totally avoidable. They’re essentially a sales charge, paid by the investor to compensate the broker or salesperson who sold the fund. Sales loads are expressed as a percentage and typically cost between 3% and 8.5% (FINRA rules prevent mutual fund loads from exceeding 8.5%). Front-end loads: These are initial sales charges, or upfront fees. 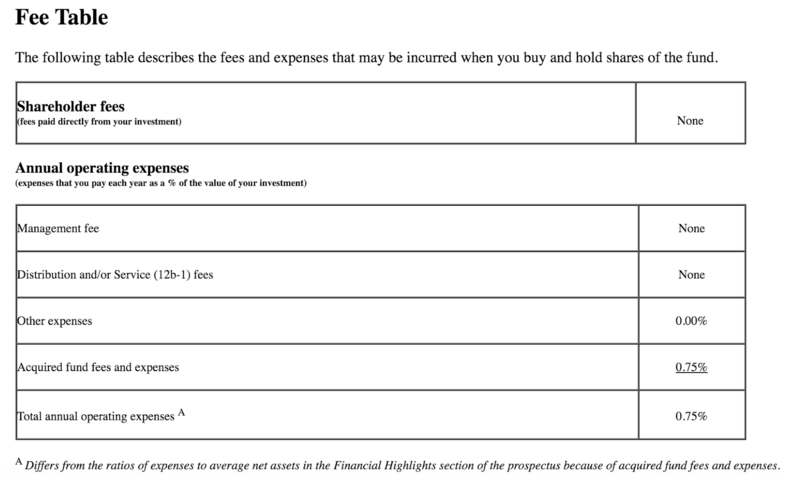 The fee will be subtracted from your investment in the fund, so if you invest $5,000 and the fund has a front-end load of 3%, your actual investment is $4,850. Back-end loads: Here’s where things can get confusing. Funds with a back-end load don’t charge an upfront fee; instead, they charge a fee when shares in the fund are sold. It’s hard for investors to get a handle on how much they will pay. In general, the fee charged is higher if you sell within the first year, and it declines for each year you hold on to the fund until it goes away completely after five to six years (this is why back-end loads are sometimes called “contingent deferred sales charges”). However, other fees charged by back-end load funds — like those 12B-1 fees — may be higher. Level loads: These funds have no upfront sales charge, but typically assess a 1% fee if shares are sold within the first year. Here, too, 12B-1 fees can be higher than funds with front-end loads, which means the fund may be more expensive to own in general, even without a sales charge. Again, the best policy here is to simply avoid these load charges. To do that, choose no-load funds. There are many, and the best part is they tend to outperform load funds over time, which means there’s no extra value in choosing a more expensive fund. Where to find details: On the fund’s page on your broker’s website (often near the expense ratio), in the expenses or fees table in the fund’s prospectus, or on an independent research website like Morningstar.com. If someone is managing your money — whether a human or robo-advisor — you’re likely paying for it. You’ll pay around 1% for financial management by a financial advisor, and about 0.25% for a robo-advisor. Many financial advisors are fee-only, which typically means they charge a percentage of assets under management, a flat or hourly fee, or a retainer. Others charge a percentage of assets under management and earn a commission from the sale of specific investments. In most cases, you’ll pay around 1% for financial management by an advisor. Robo-advisors are companies that manage your investments via computer algorithm, and they often charge substantially less, because they’re taking the human element out of the equation. A typical fee is 0.25% of assets; some advisors, like Personal Capital and Vanguard Personal Advisor Services, combine computer monitoring with dedicated financial advisors and charge slightly more. Note that management fees are in addition to the expenses of the investments themselves. Where to find details: A financial advisor should carefully go over fees with you before you sign up for his or her services. Robo-advisors clearly state management fees on their websites. On an ongoing basis, you should be able to see how much you’re paying in management fees on your account statements. You may have heard that 401(k)s are expensive. That’s generally for two reasons: They offer a small selection of investments, so it’s harder to shop around for low expense ratios. And administrative costs of running the plan tend to be high. Many employers pass those on to the plan investors, everything from record-keeping and accounting to legal and trustee charges. These may be charged as a percentage of your account value or as a flat fee to each individual investor. Some generous employers pay the fees on behalf of plan participants, which means you’re only responsible for the investment expenses. But if your plan is expensive and the investment selection is slim, you can minimize fees by contributing just enough to earn your employer’s matching dollars. Then continue saving for retirement in an IRA. If you’re able to max that out for the year, you can go back to the 401(k) to continue contributions. Where to find it: Your 401(k)’s summary plan description should outline the investments offered by the plan, along with fees and expenses. If you have questions, you should contact your HR department or the plan administrator.